Susanna Leonard Hill: Punxsutawney Phyllis's 10th Anniversary Birthday Bonanza!!! Punxsutawney Phyllis's 10th Anniversary Birthday Bonanza!!! First of all, it means we have an announcement to make! And that is that Punxsutawney Phyllis, Sage of Sages, Seer of Seers, Prognosticator of Prognosticators, and Weather Prophet Extraordinaire did set forth from her burrow on Blueberry Hill this Monday February 2, 2015 at 7:25 AM and declare, "Six more weeks of winter!" Second, that means it's my little Phyllis's 10th Anniversary Birthday Bonanza!!! I said, "How about cupcakes?" So I said, "How about this?" Phyllis said, "But there's no ICING!" "Now we need festive balloons!" said Phyllis. "You're kidding, of course," said Phyllis. "What? It's blue! It's pretty!" "It's only ONE!" said Phyllis. "ONE is not festive!" "Fine," I said, ever accommodating. "I'm going to pretend I didn't see that," said Phyllis. "Otherwise I might regurgitate my recently ingested natal day pancakes. What do the words GROUNDHOG and BIRTHDAY mean to you?" "You're being just a tad demanding, Phyllis," I said patiently. "But I'll humor you. Will these do?" "At last!" said Phyllis. "And now, for the most important part... my POEM!" "Uh, yeah, about that... I'm not quite done yet." "I want it to be perfect," I explained. "After all, it's for you. It can't be just any old thrown together thing!" "But I've got to finish it quick. Everyone's going to be here soon." "So it would be helpful," I said pointedly, "if you would be quiet and let me concentrate." I tapped my pen against the table top. I wrote across the top of the paper. "What do you mean, stop?" "Nothing rhymes with Phyllis. Believe me. I know. That's a nonstarter." "How about There once was a groundhog named Phyllis/Who made so much noise that her poem will never get written?" "That doesn't rhyme," sniffed Phyllis. But she stopped talking. Lived Phyllis, whose fur was so . . .
"What is it with you and these impossible words? NOTHING rhymes with Punxsutawney! You're supposed to be writing me a poem! Poems are supposed to RHYME!" "For your information, Miss Smarty Pants, I was going to say 'whose fur was so tawny', but forget it." "Yeah, well, that's pretty much cheating. Punxsutawney and tawny - it's practically rhyming the same word with itself." "Aren't you supposed to be outside looking for your shadow or something?" "It's too early," said Phyllis comfortably, helping herself to a strawberry. "Er. Ahem. I don't mean to interrupt, but seriously, marmot? Where can you possibly go with that?" "No..." said Phyllis, oblivious. "I don't think so. And I don't think you're quite getting the sense of an ode. You're supposed to be praising me. You have to set the mood." "I'll set a mood all right." Your eyes sparkle like finest wine..."
"Hacksputtercough! I'm sorry. I just had to gag a little there." "How do you know? You won't let me get past the first line!" "Here's what we'll do," said Phyllis. "I'LL write a poem and YOU write a poem and then we'll see whose is better." "You're going to write an ode to yourself?" "Who better? I know me and love me well!" "Hmm..." Phyllis said primly. "I don't think we're there yet. Ready, set, write another one!" "How about this?" said Phyllis. "Hey, that's not bad!" I said. "Let's hear yours," said Phyllis. "What kind of thing is that to say?" demanded Phyllis. "I'm a groundhog! Of COURSE I don't have FEATHERS!" "You're interrupting!" I grumped. "Are you going to let me read it or not?" "Fine. Read. But I don't think there's much hope for this one." She snickered. Phyllis patted my hand. "It's okay that you're not very good at this. You're trying. That's what's important." She stuffed a strawberry in my mouth. "Let's keep practicing. Maybe you'll get better." "I was done first three times in a row," said Phyllis. "That means you have to read first." Really, it is hard to follow groundhog logic. Actually, groundhog logic is probably an oxymoron. I sighed. "Okay. But let me read the whole thing. Don't interrupt." "I would never do that," said Phyllis sweetly. She sat up on her haunches and prepared to listen attentively. There's no one else on earth like you! Phyllis jumped in my lap and gave me a hug. "See? I KNEW you could do it! Now I'll read mine." "Ye-ah...," I said. "You should have quit while you were ahead." "Yeah, probably," said Phyllis. "But never mind. Happy birthday to me!" And now, Phyllis and I are looking forward with GREAT anticipation to reading YOUR poems for Phyllis, and hopefully seeing some videos too (no pressure, Erik) since we totally failed on that score! If you wrote a poem for Phyllis, and/or have photographs, drawings, videos, or other fun feature accompaniments, please add your post-specific blog link to the list below, or post your poem etc in the comments, or Email it to me and I'll post it for you so that we can all enjoy everyone's creativity! Maybe Phyllis and I will pick some top finishers, or maybe we'll have a vote later in the week, but either way, some people will win a signed copy of PUNXSUTAWNEY PHYLLIS (if there's anyone left on earth who doesn't already have one or who wants another for someone), a signed copy of Pat Miller's wonderful SUBSTITUTE GROUNDHOG along with audio CD!, and there will be some other non-groundhog-day-related picture books up for grabs too. Punxsutawney Phyllis came to play. This second of Feb. we’ll celebrate! Climb aboard the Freight Train choooo! Landing safely in the snow. “Stop it sheep” says Rose the mouse! For Phyllis to wake and feel spring’s chill. Please find a cloud and stay away. To celebrate our friend’s birthday! Since I own a balloon store I had to bring balloons too! Oooh! Shiny! Thank you, Kimberly! 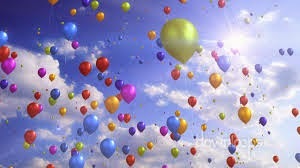 There can never be too many balloons! :) Happy Groundhog Day!!! Well at least someone is happy about 6 more weeks of winter! Enjoy the berries, the balloons, and rhyme time with Phyllis! It's time for a birthday. Will it not show itself? Or be on the ground? Don't tease us this way. Happy 10 Phyllis ... I've been enjoying the poems. I wanted to say tributes, but Hunger Games flashed in my head. Let's hope Phyllis never has to deal with that. Happy Groundhog Day. Your poem is beautiful, Susanna. I love how we can whip these things up last minute. Hooray for Phyllis! Happy Groundhog Day, Phyllis. Hope you are showered with strawberries! Happy Birthday, P. I love Susanna's poem. It was worth waiting for. Yours is.... Um... Also a poem. FYI, I'm fine with 6 more weeks of winter, or whatever, as long as the snow doesn't touch my belly! Enjoy your day! Brilliant, Susanna! Loved the entire dialogue, which is why I am taking your Picture Book Magic"course.😉 I wouldn't blame Phyllis, if, for the first time in her life, she refused to come out of her burrow (was it snowing in PA today??). 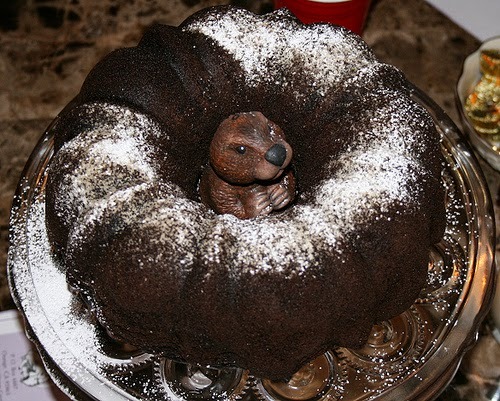 What an adorable groundhog is peering out of the bundt cake! 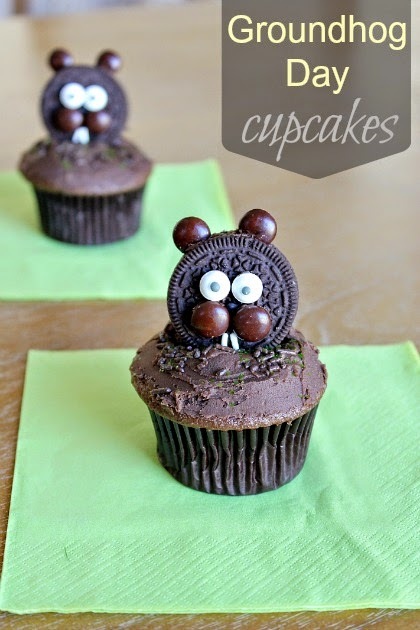 Just finished pilates and I want one of those Groundhog day cupcakes. Just kidding, I want TWO. Happy to add my silly link to the party--Happy birthday, Phyllis! I'm waiting for P.Phyllis, the movie! Don't you all think it's about time? Have another strawberry, chocolate-covered of course. Helps the imagination, which is why I eat so many! Happy birthday, darling Phyllis! Loved the post, Susanna. :) Happy Birthday, Phyllis!!! If you did pilates, you may have THREE, Wendy! :) Thank you for the birthday wishes, for being such a friend of this blog, and for your wonderfully entertaining post! :) Happy Groundhog Day! Hahaha! You ALWAYS make me laugh, Cupcake! And Phyllis is laughing on the inside... I think... :) Good luck keeping the snow off your belly! My dogs are quite a bit bigger than you, and the snow is up to their shoulders - they are plowing through, but their belly's are definitely in the snow! Happy Groundhog Day! Brilliant? Why THANK you, Jarm! I love the sound of that :) You have made my day :) I amused myself hugely writing this post, but I get the impression it was lost on a lot of folks! I'm so glad you enjoyed it! I don't know what it's doing in PA, but it's snowing like the dickens on Blueberry Hill! Thanks, Karen! It's all good fun isn't it! Such a fun movie, Stacy! This post was an absolute delight to read! You clearly have a good relationship with Phyllis. It's always a joy to read anything by people who know and love their characters as well as you clearly do. Isn't it, though?! Such fun! Did you hear me laughing when I read your banter this morning? So lovely! Hahaha, Nancy! :) Lucky Frosty, poor us :) Ah, well, it's just more time for hot chocolate with marshmallows, right? Happy Groundhog Day! I'm so glad you enjoyed it, Heather! I had fun writing it, but just because I amuse myself doesn't mean anyone else will like it, so I appreciate your comment! :) Happy Groundhog Day! only slightly sticky strawberry smooch! Wonderful ode to your groundhog girl, Susanna. Happy Birthday, Phyllis!!! "Phyllis" and "Bruce Willis" rhyme. Work with that. And can you pleeeeeease write about an animal who likes vanilla cake? Happy Birthday, Phyllis! My daughter and I (and our silly big bears) had fun writing a poem in your honor at the Bearsdoingstuff facebook page. It's called A POEM FOR PHYLLIS, GIRL GROUNDHOG WONDER. It does not compare to your own spectacular poem, or to your friend Susanna's, but we hope you'll accept our humble gift! I got done editing the video this morning. Love how you and Phyllis just had a tug of war over poetry. BTW, yours was way better, sorry Groundhog Girl. Susanna-my daughter (10 years old) and I loved your post today! Very funny! Thank you for the birthday wishes, and especially for joining in the bonanza! Phyllis and I cannot WAIT to come see what you and the bears got up to! Happy Groundhog Day! Phyllis was the one who said nothing rhymed with her! And what? 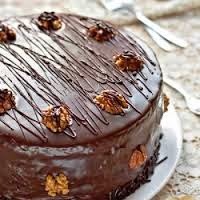 Do you have a chocolate aversion? How did I not know this?! That was entertaining, Susanna and Phyllis! What a wonderful way to start my Monday morning. Looks like lots of great poems that'll make you both proud. Who thought winter wanted to kill us. Of chocolate 'til spring was upon us. Now, I know this has nothing to do with the book, but I was determined to write something that rhymed (OK, slant-rhymed) with Phyllis and included a mention of Phyllis's (well, maybe your) favorite food. And yes, I know I cheated with "us," but I couldn't work in "trellis" no matter how hard I tried. Just too many syllables in the last line if I still wanted to include "chocolate." So there it is. Happy Birthday, Phyllis! Color issue. Are you calling me a chocolate racist?! A flavor issue, silly! My wife likes dark chocolate and my son like milk chocolate -- so the Allegra family covers all the bases. Oh yum! So glad Phyllis is so picky...because we got so many treats today! I just love your post, Susanna...the back and forth with Phyllis was engaging and entertaining...and I needed that - what with the HUGE blizzard we are having AGAIN. ENOUGH ALREADY!!!! I am tired of SNOW! 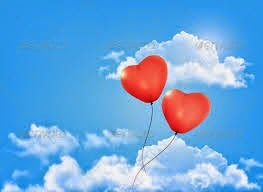 I've added my link...hope you and Phyllis enjoy my poem. :) With many apologies to Edgar Allen Poe! Thanks, Romelle! I'm glad you enjoyed it. And everyone else's offerings are amazing! Phyllis and I are having tons of fun! Happy Groundhog Day! Susanna, I LOVE that you shared with us an intimate peek at the relationship you and your tween Phyllis have. You two are a hoot. A hoot! Too funny. And that dessert. I thank you most graciously. Your poem won, I think. Although Phyllis gave you a run for your money. I'm having fun reading all the posts celebrating Phyllis. In bed your Uncle Phil is. And for all we know, he STILL is! What Fun Julie! You carried me through the antics of each event!!! Thank you so much for the birthday wishes, Marlaina! We are bummed about the snow too, but have a strawberry. They taste like summer. It will help :) Happy Groundhog Day! You sleep through winter with no care. You have no wrinkles I am glad. Please make winter for us retreat. You jump over streams with all you might. For spring will come, just not today. Happy, happy Birthday to Phyllis! I'm catching up reading the poems. Well done, everyone! Oh what fun! I'm so glad you and Phyllis made up. I was getting worried. HAPPY BIRTHDAY TO YOU, HAPPY BIRTHDAY TO YOU, PHYLLIS! Félicitations Punxsutawney Phyllis! I bet you give great hugs! Hi Susanna have been enjoying your groundhog Bonanza Extravaganza on and off throughout the Day! It's been so great… Actually kept me from some of my work. Many thanks for your lively wit, poems and posts!!! Happy Groundhog Day! Happy, happy, happy, happy, happy, happy, happy, happy, happy, happy birthday! Yes, that's happy times ten! What a celebration! You and Phyllis had me laughing, Susanna! Your poetry dual was hilarious! Thanks for serving up the cutest chocolate treats ever! I especially enjoyed my cupcake! Yum! Sus, I posted mine from FB. It would not load on my blog. They are all so great. Phyll should be really happy. Glad you enjoyed it, Michelle! I enjoyed yours too :) And all the other fabulous offerings - so much creativity and talent! Happy Groundhog Day! I do! Here's one for YOU! (((((HUG))))) Happy Groundhog Day! No way, Donna! 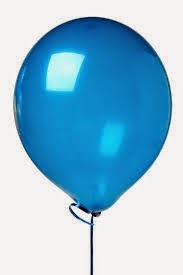 That is definitely WAY more festive than one balloon! We love it! And you are so right! Uncle Phil has been all warm and cozy in the covers all day long - nothing but snores coming from him! Thank you for the bday wishes and we will be over to visit ASAP! :) Happy Groundhog Day! Such a fun day to celebrate, Punxsutawney Phyllis' Tenth Birthday Bonanza! Thank you, Susanna for hosting this creative writing challenge. LOL. Love this post. So funny. Happy birthday to Phyllis. Capybaras can do not wrong. What an entertaining post, Susanna! I love your sense of humor! Too bad. I saw a movie playing while reading your banter above - really easy because you write so well, Susanna (now pat yourself three times on the back and smile!!). Doesn't hurt to bring it up again! I heard some studio, Pixar?, let hundreds go recently, so there are animators looking for work!! Fabulous poems and hilarious groundhog-dialog! Happy birthday Phyllis! Turning double digits is a big deal for any girl. The cupcakes were delicious. I'm so glad you enjoyed it, Rosi! Put me and Phyllis in a room together and just look what happens! :) Happy Groundhog Day! Wow! You are a WAY better poet than Phyllis, and you'd better believe I'm going to show her how good your "roses are red" poem is compared to hers! :) I'm so glad you enjoyed the post, Kristi - we had fun writing it :) Happy Groundhog Day! I hope I'm not too late to join in the fun. I've just added my link to the list. :) Happy BDay to Phyllis! That's a wonderful limerick! AND you mentioned chocolate! :) Phyllis would be proud! Very Inspiring Blogger - Who Me? !